Hereâ€™s How You Can Finally Quit Your Dead-End 9-5 Job & Start Your Own Business From Scratch! Letâ€™s face it. Probably this is not the first book you have encountered that promises to teach you everything you need to know about establishing your own business. 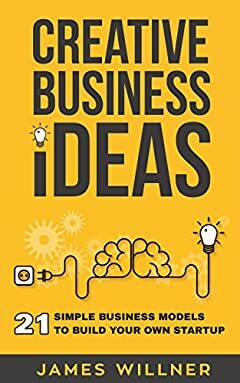 What makes â€œCreative Business Ideasâ€ special is that probably it is going to be your last business book. If you are sick and tired of all those business books that offer you theoretical ideas that have never been tested or proven, then this is your lucky day. James Willner, the author is allergic to abstract theoretical ideas and has created a unique business guide that contains ONLY substantiating instructions on how to build and develop your own business.